Is your life floating by meaninglessly with no purpose or passion? Do you long for goals and ambitions that will make a difference in the lives of others? Then this is the book for you! I was introduced to Donald Miller’s writing about four years ago through Thomas Nelson’s Booksneeze program, when I reviewed Searching for God Knows What. Since then I’ve read a few more of his books all of which I like very much. I’ve found Donald’s writing style to be fresh, friendly, fast paced and fun. And Storyline is no exception. As a writer I’ve been working on my autobiography for a few years. So when I learned about Donald’s new project I thought it might help with my story writing skills. Reading Storyline can help me write a better story about my life, but most importantly it will help me live a better story every day. These days I’m working on being intentional and committed to the activities and people in my life. Reading Storyline couldn’t have come at a better time to help me be more intentional and more committed to the roles, goals and climactic scenes I want to see in my future. Storyline is a fun and engaging workbook that goes along with the Storyline conference. But it can also be used for small groups or individual study. 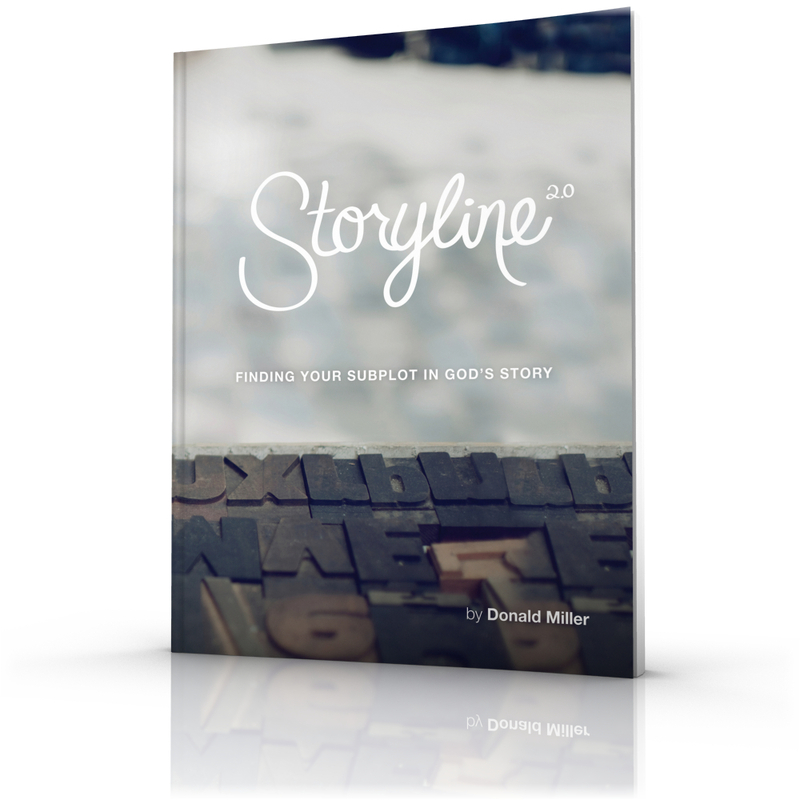 No matter your age, gender or season of life, you will benefit from reading Storyline by Donald Miller. I’m excited to put what I’ve learned from Storyline into practice. It has already given me a better vision for my life and a clearer focus on that vision. I believe my story will be much improved because I read this book. I hope you will get a copy of Storyline. I highly recommend it! Click here to watch an introductory video about Storyline. What is Storyline? from Donald Miller on Vimeo.